On 6 September 2007, Martinha was found stranded on the Portuguese coast. She was estimated to be 6 months old. 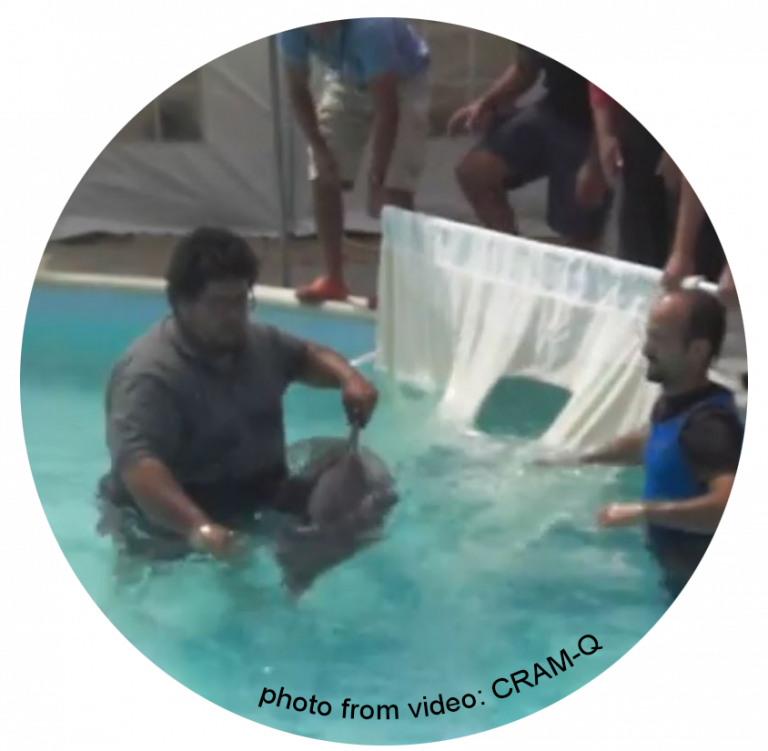 The rescue was conducted by CRAM-Q*, with the goal to rehabilitate and release her shortly after. Martinha's rehabilitation began appropriately, with 24hr care in a medical pool. However, after a short period of intensive care, all of this changed for her. After rehabilitation, she was held in conditions that were arguably amongst the worst in the world. In the yard behind CRAM-Q, Martinha was held in a small tank of water, which was approximately 7m wide, 13m long and less than 2m deep (you can see in the photo just how shallow the tank is). 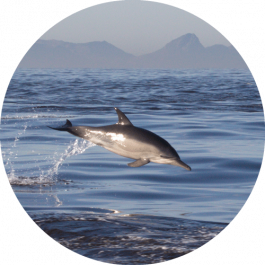 A common dolphin is typically 1.5-2.4m long. It doesn't take much to realise that she could barely swim in a straight line and she certainly could not dive. This was clearly no place for a dolphin. In 2012, five years after her rescue, Martinha was still languishing in the same tiny tank, which was very similar to a backyard swimming pool. 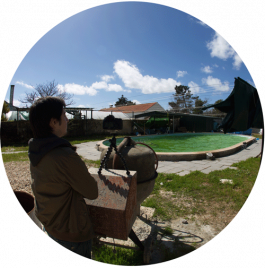 By this time, Barra, another female common dolphin, was placed in the tank with Martinha. Although providing company for each other, this tank was already too small for one dolphin. 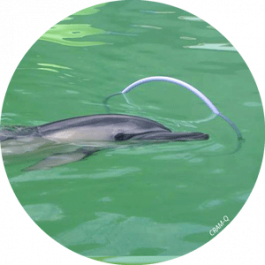 Barra, rescued from a net entanglement, was an adult when she arrived at CRAM-Q, providing hope that the two dolphins could be released together. The water quality continued to deteriorate; the changes in water colour were due to excessive algae. The tiny 'skimmers' (outflow areas) and pumps mean that Martinha and Barra were swimming in their own faeces, in water that was too warm. 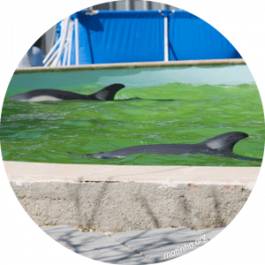 On 23 March 2014, several cetacean experts and advocates visited CRAM-Q and they were given a tour by the staff. They were given permission to film and photograph. They authored a preliminary report based on what they observed during that visit. They viewed both Martinha and Barra, documenting the substandard facility and poor welfare conditions. Shortly after reaching the rescue centre, Barra, who was pregnant at the time, miscarried. 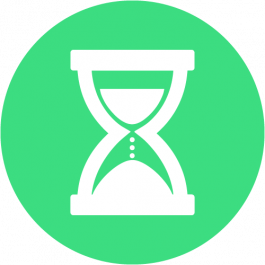 Just like Martinha, Barra was subsequently classified as un-releasable due to 'health issues'. Barra remained in the facilities of CRAM-Q for at nearly two years, but died in September 2014 (see OTHER SOULS for more details about Barra). When searching online, we found this image of at least one dead dolphin (possibly up to seven dolphins) in the freezer at CRAM*. The one at the top appears to be a common dolphin. Could this be Martinha? Could this be Barra? Without transparency, we simply don't know. The photo is dated 'Oct 2016', which is within the time-frame during which Barra disappeared and our last evidence that Martinha was at CRAM-Q. Please note that we fully support science and the knowledge that is gained from necropsies (animal autopsies) however, it is unclear from this photo where these dolphins came from. On 21 August 2016, our coalition approached the Portuguese Wildlife Society (SPVS)*, regarding Martinha's situation. We offered assistance to work with SPVS & CRAM-Q to formulate a plan that would ultimately improve Martinha's conditions. In their response, SPVS & CRAM-Q claimed that our concerns were misplaced and assured us of Martinha's well-being. They stated that a "much larger tank" of 800m² had recently been "finished and Martinha will be transferred shortly." However, they provided no evidence to support their claim (see TANKS for more details). 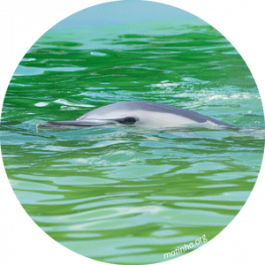 We then proposed an on-site visit with an independent team, including experts in cetacean rehabilitation and veterinarians, to meet with staff and to evaluate Martinha's situation. On 13 February 2017, we received a letter from the Portuguese Government agency ICNF*, on behalf of CRAM-Q. ICNF stated that Martinha would not be released because of ‘chronic’ and ‘cyclic’ medical conditions (liver and digestive issues). 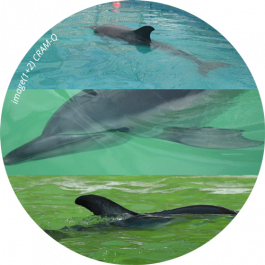 They stated that CRAM-Q had looked for “alternative rehabilitation centres that could receive and take care of Martinha, but unfortunately none of the existing facilities have any common dolphin specimen [sic] nor could offer better conditions than the ones offered by CRAM-Q.” This means that ICNF, which also stated that Martinha is legally owned by the Portuguese Government, denied her the opportunity to live with other dolphins, even of another species. 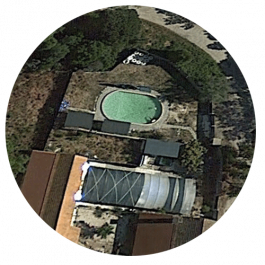 Additionally, half a year after CRAM-Q had stated Martinha would be moved to a larger (800m2) tank, the ICNF stated that "In a [sic] near future she will be moved to another tank within the same facility, which is even larger ... and 800m²". Despite requests, we have yet to receive evidence of this change in conditions, such as photos or even confirmation of a move. 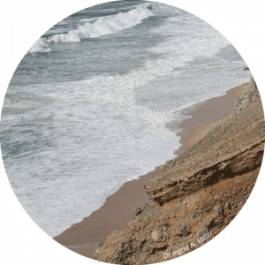 In March 2017, we made another offer to meet with the Portuguese Government and appropriate stakeholders, regarding Martinha's poor conditions. We did not receive a response. In early October 2018, we followed up once again regarding 'Where is Martinha?' We advised CRAM-Q that we would be asking the public to help us find her and report on her status and welfare, including 'proof of presence' (a photo of her in her 'new' tank). They responded that Martinha had been moved to "much more appropriate facilities over the past years" (thereby acknowledging that there had been a welfare issue). They then stated that "the ICNF will provide you an official answer after the 8th of October". 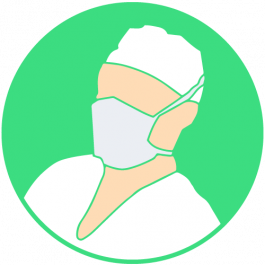 This website was published on 15 October 2018, allowing CRAM-Q, SPVS and ICNF (once again) plenty of time to respond to our questions. Finally a LETTER was received from ICNF on 3 November which stated that "Martinha was never concealed and the conditions she is presently in, do not compromise her welfare. In fact, since 2016 Martinha is using a new tank..". The letter went on to describe the large tank at CRAM-ECOMARE and stated that Martinha is in 'good condition' and 'very active'. 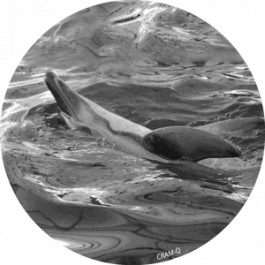 Once again correspondence from ICNF failed to provide a current image of Martinha in her new tank. As the Portuguese Government has admitted, Martinha is a public trust animal. As such, the public has a right to transparency about the conditions under which she is being held and they have the right to expect certain welfare standards to be met. 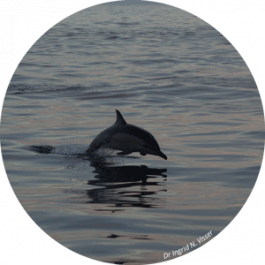 Despite years of trying to get basic information about this lone dolphin, no relevant details have been forthcoming. We are now taking action and asking for your help - we have outlined some actions you can take. 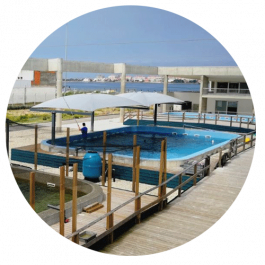 The tiny 'bathtub' like concrete tank at CRAM-Q was an appalling situation - more like a children's backyard swimming pool than an appropriate place to keep a dolphin. Details about the facility and tank dimensions are provided in the TANKS section. * CRAM-Q (& CRAM) = “Centro de Reabilitação de Animais Marinhos de Quiaios”, marine wildlife rescue centre. (CRAM is the 'new' rehab center, at Gafanha da Nazaré, Portugal) * SPVS = the non-profit Portuguese Wildlife Society (Sociedade Portuguesa de Vida Selvagem - SPVS), which managaes CRAM-Q. 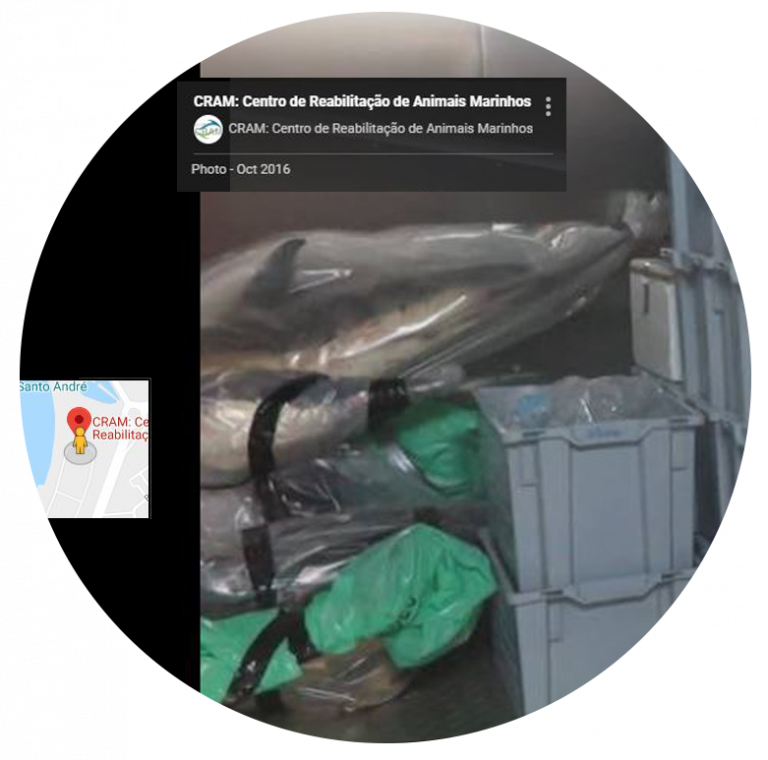 It is authorised by the Portuguese Government * ICNF = Portuguese Instituto da Conservação da Natureza e das Florestas, the Portuguese Government department legally mandated to protect wildlife like Martinha.